Toukiden [討鬼伝] is the samurai vs demon hunting game that was released last year on the PS Vita and PSP. Now, Tecmo Koei has announced Toukiden Kiwami [討鬼伝 極], an upgraded version of the original with additional story, equipment, and enemies. Toukiden Kiwami will also include all the content from the original Toukiden, making it another in the long line of double-dipping hunting games like God Eater, Soul Sacrifice, and Monster Hunter, that release an upgraded version of the same game. Koei Tecmo itself is no stranger to the release-upgrade-rerelease game – hello, Dynasty Warriors series – but it's a model that's served them well. Said producer Takashi Morinaka in an interview with Weekly Famitsu, "We came later, so with the development of Kiwami, we'd like to catch up with other titles." Morinaka also stated that Kiwami would have twice the amount of story content as the original. The original Toukiden sold over 470,000 copies total (PSP and PS Vita versions combined), but that's still far from Monster Hunter numbers – the lead share-holder of the genre. By including the content of the original, the creators are hoping to increase the familiarity of the game with new customers while offering further and more evolved content for fans of the original. People who have played the original will be able to carry over their save data to pick up where they left off from instead of having to start an entirely new game. 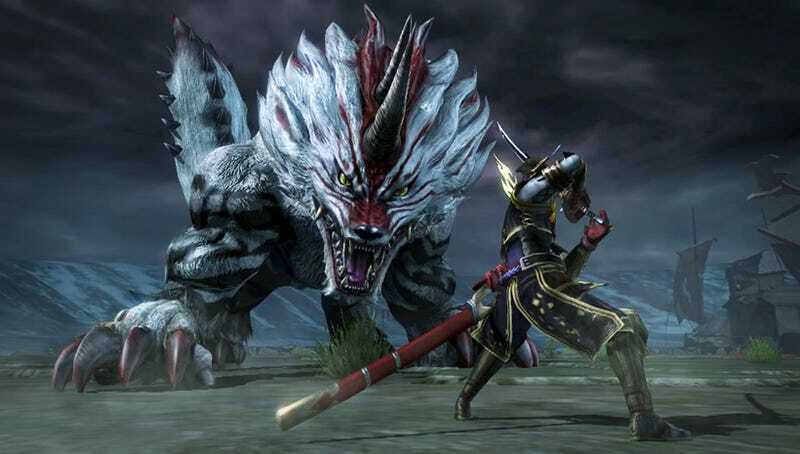 Toukiden Kiwami is scheduled for release in Japan this year. No word on an international release.